The strength of our company is exemplified by the manner in which we treat our customers. We understand the intense pressure people are under. You will feel better after having spoken with our staff and your sense of dignity will be restored. The relief most people feel is tangible. Your initial consultation is free and we can set up a meeting during the day or after hours to fit your schedule.We have offices across the Greater Toronto area including Toronto, Scarborough, North York, Mississauga, Brampton, Cooksville, Georgetown and Pickering. 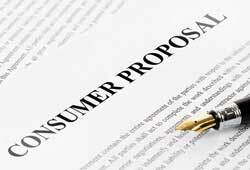 In our initial meeting we will review your financial situation and then present you with a variety of options to obtain debt relief. 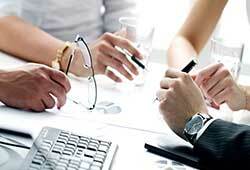 Personal Bankruptcy is only one of the options we will review with you. 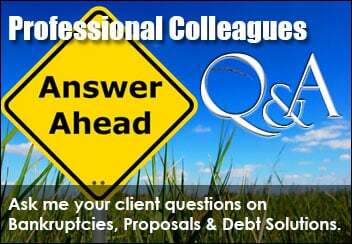 Other debt relief options could include consolidation loans, informal proposals, consumer proposals and creditor negotiation. Only a trustee can review all your options and advise you of the legal consequences of each option. 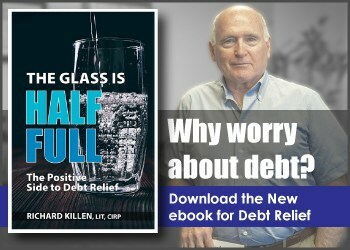 We understand this is a very stressful time in your life and we look forward to helping you obtain the debt relief you deserve. 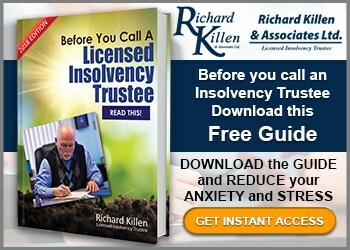 Call Richard Killen & Associates, a licensed Licensed Insolvency Trustee helping you get a fresh start in life. Visit Richard Killen & Associates today. A certified trustee can negotiate with your creditors to consolidate your debt into one monthly payment saving you money and stress. “The Problem” can sometimes be solved, at least temporarily, by negotiating with the creditors to reduce the monthly payments. “The Problem” is a Bankruptcy. Though nobody wants to file for bankruptcy, sometimes it is the only responsible option left.